New Jersey born Charles Pettit was the son of John Pettit, a wealthy Philadelphia importer and an underwriter of marine insurance. In 1758 after receiving a classical education, Charles Pettit married Sarah Reed, a half sister of the highly influential Joseph Reed. This alliance paved the way for a career in public service. During the 1760s Pettit concentrated on his iron-mongering business, but in 1767 he was appointed a provincial surrogate, the first step in his long political career. He held a number of minor offices in New Jersey during the next few years. In 1770 he was admitted to the bar. 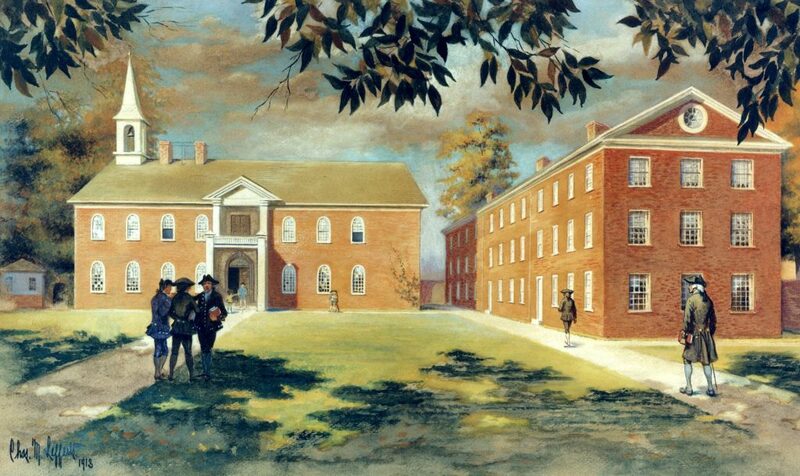 In 1771 Pettit was served as a lieutenant colonel and an aide to Governor William Franklin. When Franklin was arrested as a Loyalist in 1776, Pettit decided to give his efforts to the American cause, rising to the rank of colonel and serving as secretary under William Livingston, the new governor of New Jersey. In 1778 on the recommendation of General Nathaniel Greene, Pettit was assistant quartermaster-general of the Continental Army. In this capacity he initiated a number of much-needed reforms until he resigned in 1781. After the war Pettit became a successful import merchant in Philadelphia, and again held public offices. In 1784 and 1785 he represented Philadelphia in the Pennsylvania Assembly, and from 1785 to 1787 he served two terms in the Continental Congress. Under the new federal government, he unsuccessfully ran for the United States Congress. From the Revolutionary era on, as a “Pennsylvania Constitutionalist” at the state level and a Jeffersonian Republican at the national level, Pettit’s politics sought to further government authority to protect property and economic enterprise. Much of Pettit’s later life was devoted to the Insurance Company of North America; he was one of the first directors and president of the company from 1796 to 1798, and then from 1799 until his death in 1806. He had been named a member of the American Philosophical Society in 1779. He was named a trustee of the University of the State of Pennsylvania in 1786; after the 1791 union of the College of Philadelphia and the University of the State of Pennsylvania, Pettit continued until 1802 as a trustee of the University of Pennsylvania.